You might have asked this question to ‘N’ number of bank employees, “What will be my credit limit if i apply for this card?” and everyone will say that they have no idea. One reason is that bank discourages their people in exposing this limit to customers, another reason is that there are quite a lot of factors affecting the bank’s decision which the sales people can never understand. Below are some of the factors affecting your credit limit when you apply for a new credit card. Usual credit limit is 2X or 3X of your monthly income. Suppose your salary slip shows Rs.50,000 per month, you can expect Rs. 1 Lakh – 1.5 Lakh credit limit. For self-employed, suppose you’ve filed an income of Rs.5 lakhs for last financial year, you can expect 1 Lakh – 2 Lakhs as credit limit as Business cards usually gets better limit for obvious reasons. Everything should be fine if your CIBIL score is 750 or above. Lower score might lower your limit even though your income might be high. Any existing defaults found on your other Loan accounts/credit cards might affect your expected credit limit negatively or maybe even reject your application. This is very important if you’re requesting a credit card based on your savings/salary account transactions. HDFC/AXIS credit cards are easy to get this way, provided you’ve good amount of transactions on your account every month. Banks not only see your transactions, but also other products availed form the bank. Suppose you’re using FD/RD/insurance plans from the same bank, you’re likely to have higher relationship value with the bank, and so your credit limit. If you’ve requested credit cards/loan with 5 banks all in same month, this will not only reduce your CIBIL score, it will also show your credit hungry behavior and this might reduce your expected credit limit. If your monthly income is Rs.50,000 and if you’re paying monthly EMI of Rs.30,000 on your home loan, this will give a huge blow on your expected credit limit as your cash flow gets reduced by half and so your ability to pay bills. So bank knows that you’ve got only Rs.20,000 left for spending and you cannot expect a limit like 1 Lakh or so. hello i want to know that what bank consider for limit increase card usage or payment history? Its both along with your Income docs. Its given based on lots factors. Like usage, type of usage, payback time etc. 1) You mentioned credit card limit can be increased based on other portfolio with the bank for ex. SD or FD. Does bank also consider these things for card eligibility criteria? For example, a customer may be considered eligible for a premium card, not based on salary, but based on FD and savings balance with the bank? 2) What does the bank usually do in case of card reaching its expiry date? Does the bank give the same card again? Or they approach the card member with offers of upgrade? 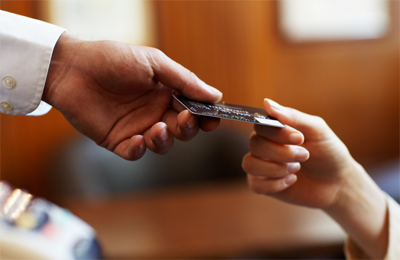 Should the card member approach the bank for upgrade offers in case the expiry date is near? 1. Yes, rel. value is seen for both limit/upgrade. 2. They resend same card with extended expiry, but unlikely to happen as cards keeps changing often, so they’ll suggest for an upgrade. I have a concern regarding point #4- Last month I got a SBI Elite(shouldn’t have got this one, will cancel it next year) and this month my Regalia got upgraded to Infinia. Now, Yes Bank is offering me the Yes First Exclusive Lifetime free this month. Will this affect my CIBIL score that I have got 3 new cards(Infinia was technically an upgrade) in 2 months?? I have also cancelled my Amex Plat Charge card last month. Besides this I have Citibank Premier miles. Eventually, yet year on I want to keep just Infinia and Yes First Exclusive. That’s 2 hard inquiry. It’s fine as long as no more inquiries made for next 2 months or so. Scores will be back to normal in 6 months (% of utilization matters) usually. I was in a similar situation. I got two cards in 2 months and my score dropped by around 25 points. In 6 months time it increased by 12 points. I have Kotak card wtih 2Lac limit and HDFC with 1Lac can i send Kotak card statement to HDFC to match the same limit…? credit limt is increased by sole wish of bank ur holding with, they won’t consider other bank credit limit, some banks are eager (SBI) they give more credit limit.